Liberty Hardwood Floors is one of the finest providers of high quality hardwood services in the Jersey Shore area today. This is why it is not surprising to hear and see people raving about the excellent results they got from us. This is a kind of service wherein you are allowed to pick the kind of species, color, and design of your hardwood flooring. With this reality, you are assured that your room becomes more catchy and attractive. This is a procedure which entails refinishing your hardwood floor without the dust. This is a safe process because it does not screen or strip off your woods old finish and color. Basically, it works to clean and recoat your floor without the dust. This is a way by which you can keep the smoothness of your woods. With our refinishing service, your hardwood's life is being prolonged because only a small portion of the wood surface is being removed. 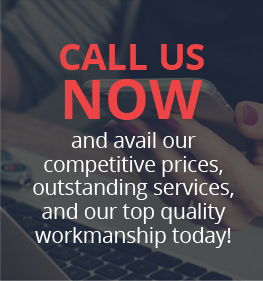 And since we deploy expert wood technicians, rest assured that your wood floor refinishing needs and expectations are met. Having worn out and damaged wood floors in a home can be very troublesome and problematic. If you see your floor to be that way then you can simply call use and avail our floor repair services to restore and bring back the beauty your flooring once had. Colors and stains are essential components of a properly maintained wood floor. These coatings give the wood the protection it needs against the harmful effects of UV rays, mildew, moisture, and stains. This is otherwise known as base molding or base trim and it aims to provide functional and attractive purposes. It aims to cover the gaps between the floor and the wall. It also helps protect the floor from kicks, bumps, furniture scrapes, and vacuum finishes. We at Liberty Hardwood Floors offer laminate flooring services. Many homeowners prefer this kind of flooring option because it gives the advantage of being cheaper, much easier to clean and maintain, and ease of installation. If this kind of flooring option is what you want then our company only offers nothing but the best brands so you are guaranteed of the best results and satisfaction at the end of the project. This kind of flooring option has been widely used all over the world for thousands of years now. If you want to have this kind of ancient style flooring then you can simply contact us and we'll make it happen for you! Rest assured that we'll do it with much sense of accuracy, expertise, and professionalism. In fact, we at Liberty Hardwood Floors has many services to offer and others include buffing and waxing, sanding and refinishing, remove and dispose, repair of old wood flooring, and many others!